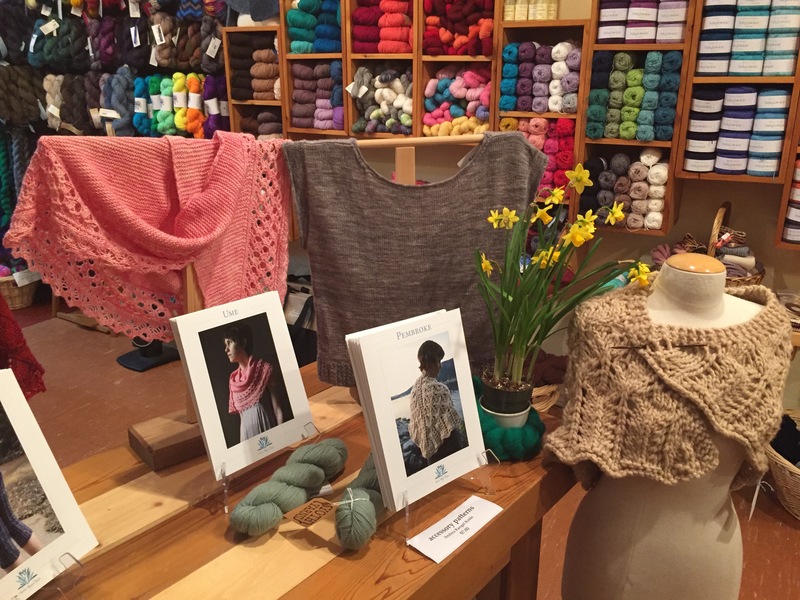 We are pleased to announce that the next of our monthly series of FOCUS ON LOCAL Trunk Shows happening on Saturday March 12th will feature two knitwear designers from right here in the Greater Vancouver area. Liisa Nieminen is a Vancouverite of Finnish origins who designs and teaches a myriad of all things yarnie. She has a non-yarnie day job (whaaaaat?!?) but also hosts a great chronicle of her crafty escapades scheming her goal towards world yarny dominance in her website Fluff & Hustle. Jenny Failfel of SweaterFreak Knits is a software developer who has an amazing talent and flare for knitwear design. Her designs embody a simple minimalist style with emphasis on shaping. We love her value of less is more! Come support the local knitwear design community by checking out some of these talented ladies’ designs knit up and ready to fondle. I am so proud of the strength, diversity and talent of the fibre arts community in Vancouver, so it is fun to celebrate these designers with their very own fashion shows! 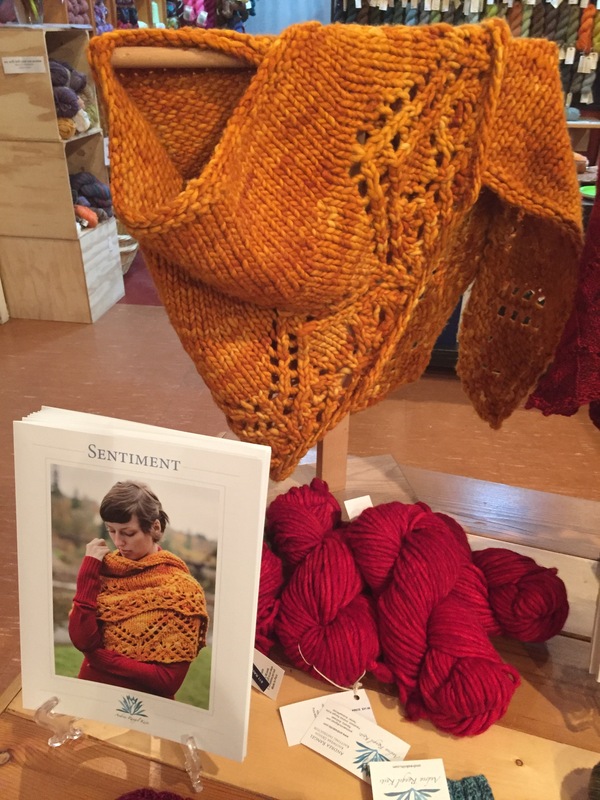 Liisa is also offering a PLANNING FOR A SUCCESSFUL KNITTING PROJECT class on Saturday afternoon from 2:00 – 5:00pm which will go through all the things to consider before knitting a single stitch. You’ll learn to choose the right yarns and needles, swatch efficiently and accurately, and modify patterns to your own taste, so that your next project will turn out exactly the way you want it! Call to register at (604) 255 2577. On Feb 19th we hosted our second in our monthly series of FOCUS ON LOCAL Trunk Shows with Andrea Rangel from Victoria with great success… here are some teaser pics from this fun event. The right combination of patterns and yarn is magic! Andrea’s Sentiment Shawl knit with Malabrigo Rasta.